Unless you’ve read Unsworth’s first novel in this series (The Devil’s Detective), The Devil’s Evidence introduces you to Thomas Fool, The Devil’s Detective. A damned soul, Fool leads Hell’s Information Men, the closest thing to a police force that Hell has (or needs). 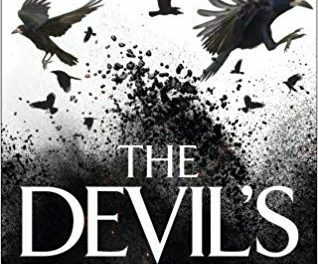 Hell is under attack from unknown forces – mysterious fires keep breaking out, killing Hell’s inhabitants, and strange murders keep being committed. 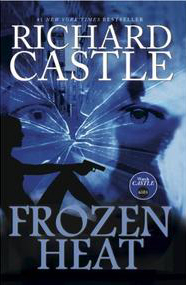 Fool finds himself increasingly under pressure from his superiors to solve these crimes, but when a resolution is not forthcoming quickly, a new department called the Evidence is formed. A combination of the Spanish Inquisition and the Nazi SS, the Evidence don’t need evidence to decide guilt. Fool is sent to Heaven on a diplomatic mission, and soon finds himself embroiled in further mystery that will threaten both Heaven and Hell. Unsworth has created a fascinating take on Heaven and Hell – it will come as no surprise that his Hell is wildly bureaucratic, and the way that he depicts the “Joyful” (aka the souls that have gone to Heaven) is a unique take on what happens in the afterlife. 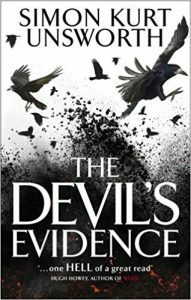 Funny, thrilling, violent and a darned good read – The Devil’s Evidence is one to pick up, and is hard to put down again.